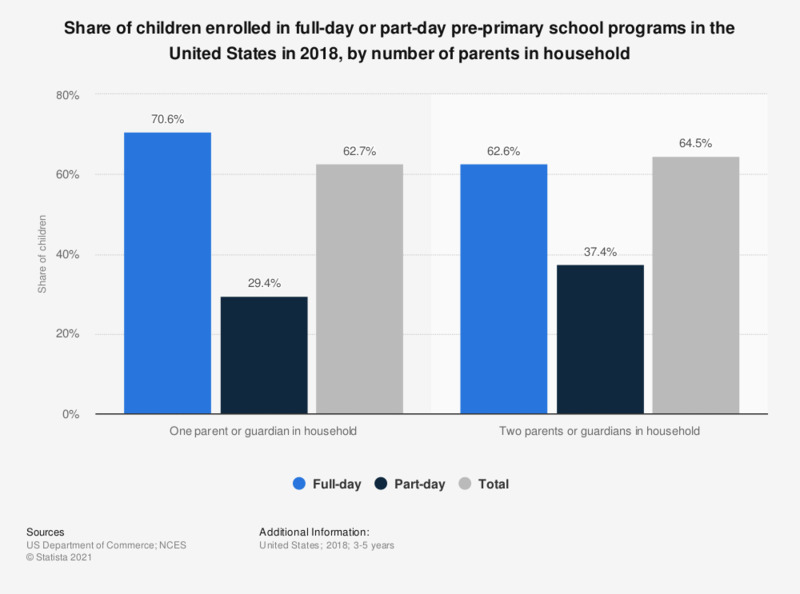 This graph shows the share of children from households where either one or two parents/guardians were present, that were enrolled in either full-day or part-day pre-primary programs in the United States in 2017. In that year, around 64.6 percent of children living in a household with two parents or guardians were enrolled in pre-primary school programs. Of that 64.6 percent, 62.8 percent of children were enrolled in full-day programs. Pre-primary school institutions include nursery schools and kindergartens.